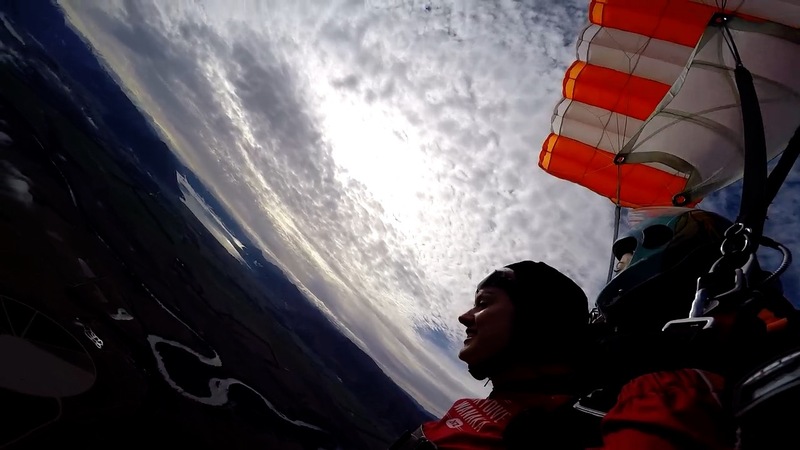 The morning of our Lake Wanaka skydive, I woke up feeling sick with dread. 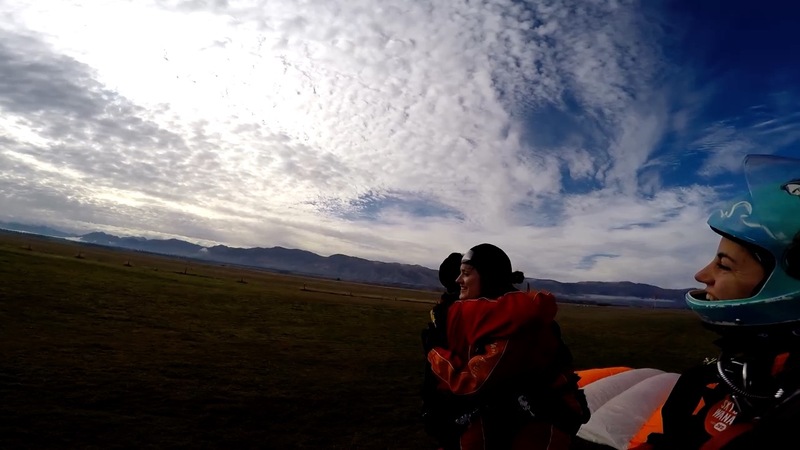 What on earth persuaded me that jumping out of a plane, at 15,000ft no less, was a good idea? I secretly prayed that the fog wouldn’t lift and the flight would be cancelled, but when we got the go ahead I knew I just had to take a deep breath and get on with it. 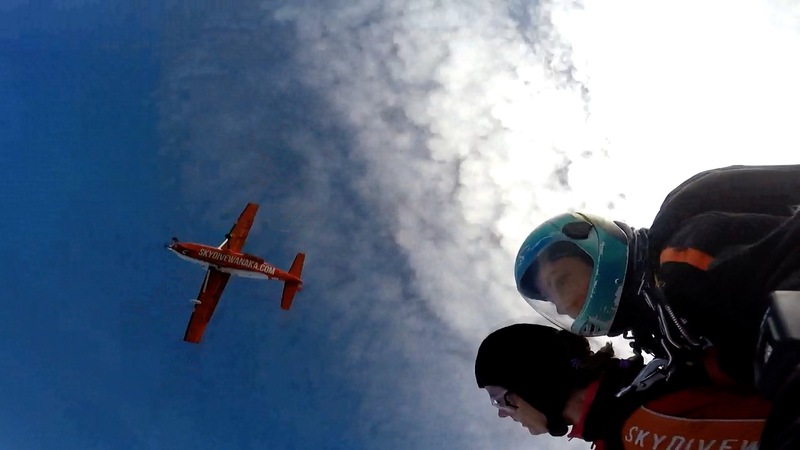 Once we got to Skydive Wanaka, we signed in, watched a quick safety video and started getting kitted up. It’s amazing what effect good branding and a slick operation does on your fear levels; I knew I would be in safe hands. Before I knew it, I had met my instructor, I was getting strapped up and I was being led to a very small plane. To my surprise, I suddenly began to feel a sense of calm; acceptance that the only way out of this was out of the small, sliding door to my right. I watched as my fellow skydivers got sucked out of the plane by the force of gravity and then it was mine and Nikki’s turn as we reached a soaring 15,000ft. As I put my legs out of the plane, it became shockingly clear quite how high we were. The snow-capped peaks and glittering lakes below looked like a toy set. 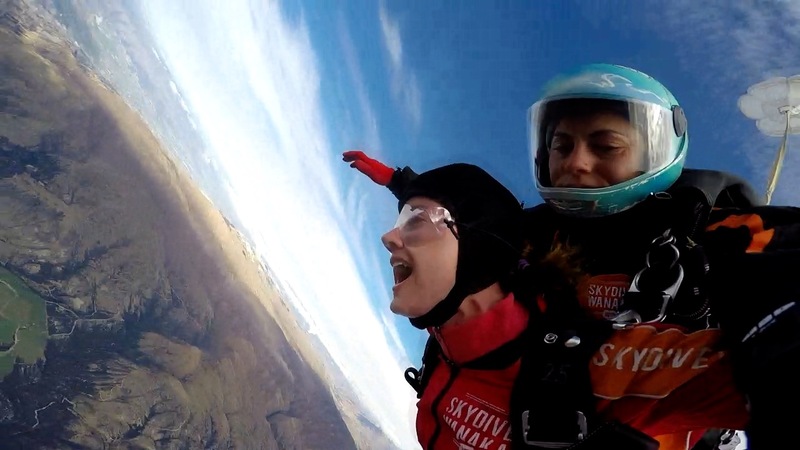 I couldn’t quite believe how far we had to freefall (a whopping 60 seconds). Shutting my eyes, I felt us tip out of the plane, somersault and then drop at an incredible speed against the force of air; the ground below slowing getting more and more in focus as the altitude dropped. 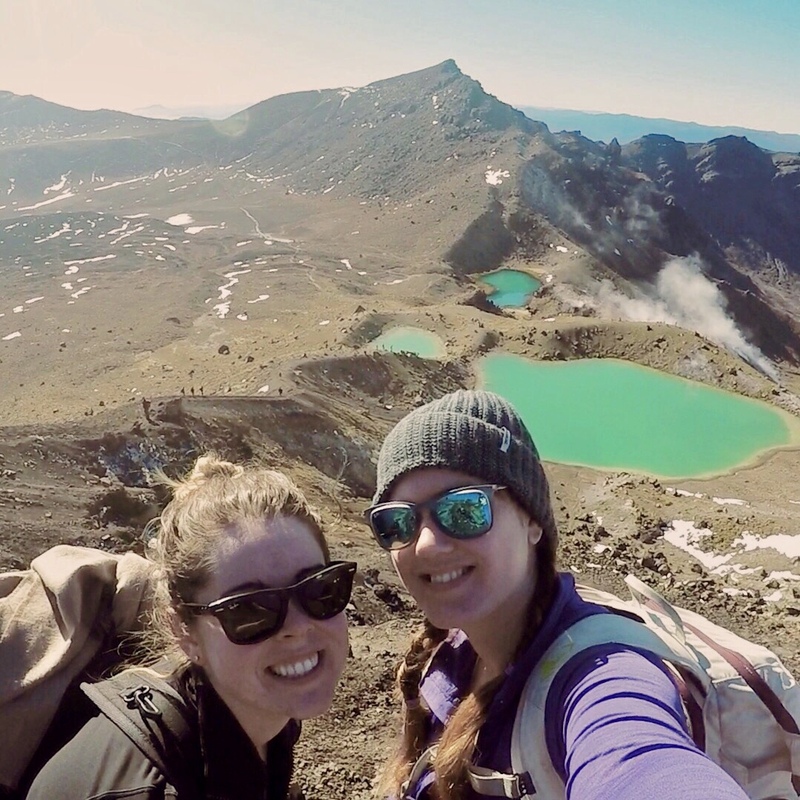 The feeling is hard to put into words: I just remember screaming OH MY GAAAAAD the whole way down, as my instructor span me around to see the incredible panoramic views of Lake Wanaka and beyond. Suddenly, I felt myself thrust forward into a seated position as the parachute opened and then everything was calm. We began drifting and circling towards our landing spot. Sheep – once little white dots – now became visible and I could make out Nikki waving below. Masterfully, my instructor glided in and I lifted my legs up into a seated position, barely brushing the grass. What a thrill! Any reticence I felt about skydiving had been well and truly replaced with the most incredible high. As adrenaline rushes go, this one has to be hard to beat.